Stuart is also involved in the Quareia project, a free online magical training school, where he provides art work, advises on Egyptian and Classical themes, and is also one of the two artists who produced the Quareia LXXXI Magicians Deck. Sacred Women: Images of Power and Wisdom is a treasure house of art dedicated to the feminine power. Each artwork is intended to be savoured not just for its inherent beauty but also as sacred art. 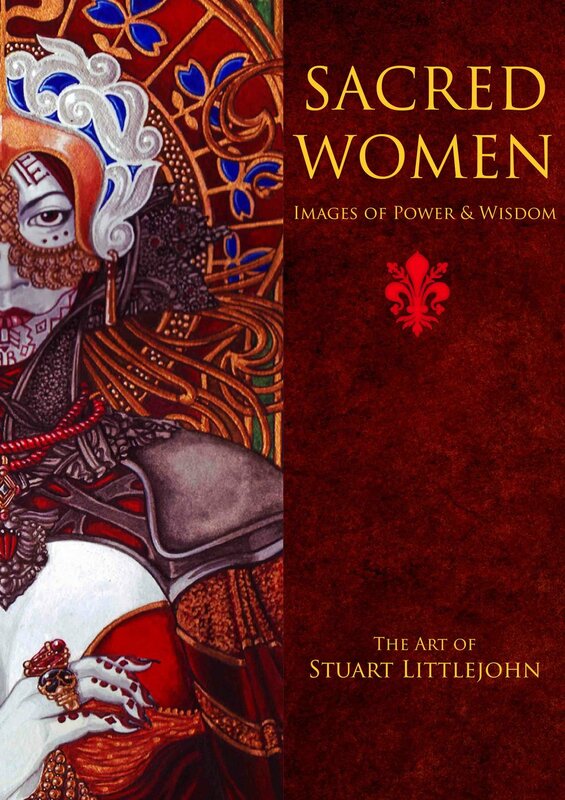 A full colour collection of paintings by the renowned British artist Stuart Littlejohn, this book serves as a celebration of all that is great yet ignored, of all that is powerful yet shunned, from goddesses to warriors, from mystics to the mythic. Welcome to the online gallery of Stuart Littlejohn, where you can view his work, purchase an original work of art, commission a work from Stuart, and keep up to date with his latest projects. Stuart's art springs from a well of magic, mythology and history. His work often appears as book covers, book illustrations, tarot/divination decks, and also as stand alone art. His work is in private collections around the world, and his unique style is immediately recognizable. His influences range from ancient and classical art, through to the Renaissance, Pre-Raphaelites, the Symbolists and Classicists of the nineteenth century. Stuart has also explored British mythology and the British Faery Tradition, along with the Western Mysteries, the Grimoire Traditions, early Egyptian magic and the Underworld Traditions.